Chicken salad is a bit like communication: In theory, it seems so simple but when you get right down taking a thought, sharing it with someone and having them hear, listen and understand it as you meant it to be expressed is incredibly complex. As a mayo-averse person, I tend to shy away from chicken salad as a whole because so often mayonnaise is a predominant flavour. The truth is though, there is nothing quite like the perfect chicken (or tuna) salad especially if mayonnaise gives you the heebeegeebees but you’ve found one with just the right balance. Some like a chunky cubed version, others like the shredded kind, and then there is the smooth deli version that brings a touch of nostalgia. In New England, we like to add cranberries, others add the crunch of apple or celery à la Waldorf. The preferred style and texture of chicken salad is so individual and contentious that I have been known to look at the bottom of containers and text photos back and forth before selecting the ideal box of a certain chicken salad when out shopping. I was recently sent some samples of Willow Tree Farm chicken salad for review and although I was nervous given that chicken salad is not one of my favourite foods. On the other hand, I was also excited because they have a version without mayonnaise. I sampled the Avocado Chicken Salad and the Sriracha Chicken Salad. What surprised me is that even though my even more mayo averse husband and I liked both versions I think I’m going to stock the Sriracha Chicken Salad on a regular basis because we both liked it so much and that was the version with mayonnaise. It works for us though, because the Willow Tree Farm chicken salads are a smooth version of of chicken salad (old school deli style) and there is a good quantity of sriracha so it masks any eggy mayonnaise flavour. The Avocado Chicken Salad is made with Avèyo, avocado, white vinegar, olive oil, sea salt and lime juice, which acts as the mayonnaise. It also has cranberries which add a little sweetness. I like it a bit more acidic so I drizzle a little extra fresh lime over it. One of my favourite quick and easy dinners is nachos, but nachos don’t really make a meal. So to round it out I added a spoonful of the Will Tree Farm Avocado Chicken Salad and that definitely makes a meal. 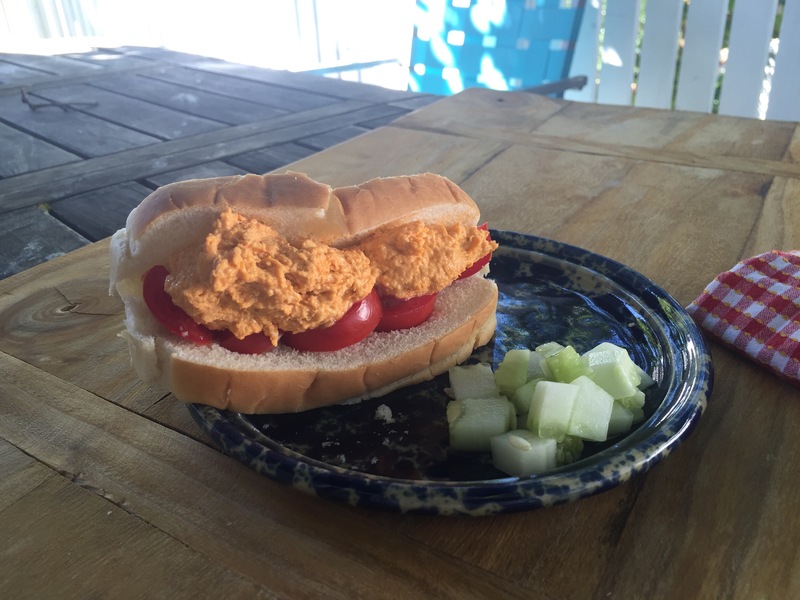 The Sriracha Chicken Salad will be my go to quick sandwich filling. This time of year our kitchen counter is covered in bowls of tomatoes from Lindentree CSA. We have leftover hot dog buns, because the number of buns never matches the number of hot dogs. For a quick lunch, I slice up some tomatoes, put a scoop of the sriracha chicken salad over the tomatoes and lunch is made. Dan just likes to eat spoonfuls of the chicken salad right out of the fridge when he gets home from work because he is the kind of guy who needs a substantial snack before dinner. Now, I just have to find out where they sell Willow Tree Farm near me and maybe I’ll need to take a road trip out to Attleboro to visit the source. 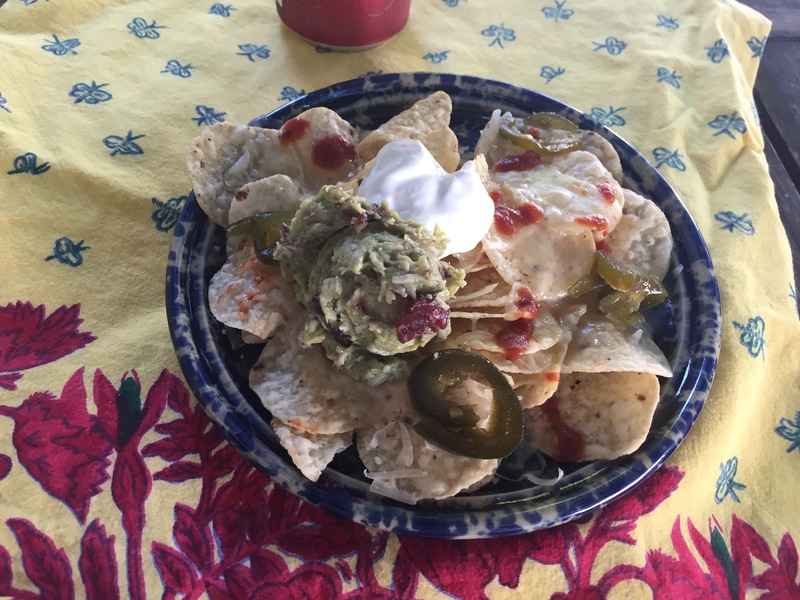 Fill a plate (size based on how many people you are feeding) with tortilla chips. Top with grated cheese and pop the plate into the microwave for 30 seconds, but watch it carefully and take it out as soon as the cheese is melted. Drizzle with hot sauce and add a few pickled jalapeños to taste. Add a scoop or two of Willow Tree Farm Avocado Chicken Salad and a spoonful of sour cream.